Hope everyone is keeping well hydrated in this heat, and also using sun protection gear and sunscreen whenever outdoors. 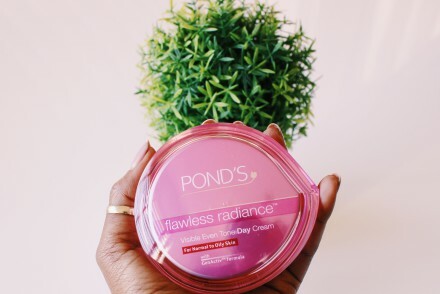 A few weeks ago, I promised that I would do a 3-Day challenge review on the new Pond’s Pimple Clear range that I was going on about. It took this long because when I needed a breakout to occur in order for me to do the challenge/review. The funny thing is, whenever I do not need a pimple to occur – like when I have a huge event coming, I will wake with a huge pimple in the middle of my forehead for absolutely no reason. Aaarg! It can cause red/black scabs on your skin – when you pop a pimple you are basically breaking your skin. Which causes bleeding and discouloration. Scabs usually take far longer to heal and they are more difficult to conceal than a pimple itself. It can actually make the inflammation far worse than what it was – pushing and pulling around the pimple irritates the skin and which can cause more swelling and redness. It can cause the bacteria in the pimple to spread in to other areas of your skin, causing more breakouts to form. 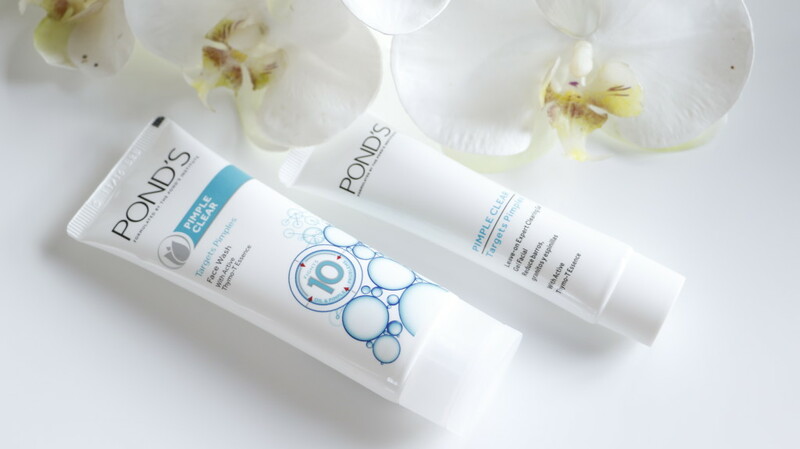 It can leave unwanted blemishes and scars on your skin, which in my books are worse than the breakout because they are harder to treat and get rid of. Now, there is no one particular thing that causes pimples, they can be caused by a number of different things. Our skins have what is called pores, these are the tiny little holes that you see your skin. Some people have smaller pores that are not that visible to the naked eye, some have bigger pores that one can very clearly see. And what sometimes happens to these pores is they get blocked by bacteria, oil, dirt and dead skin cells; which then causes your skin to breakout. Now we all know breakouts are very uncomfortable, they can sometimes be painful, they are not pretty to look at, they leave blemished behind, and they can really lower one’s self confidence; which is exactly which no one ever wishes for them. 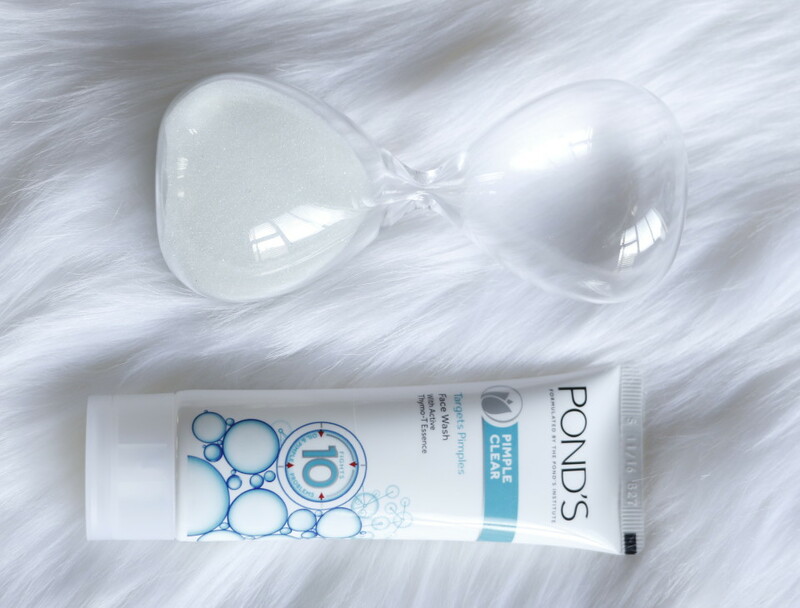 As human’s we are always on the quest for clearer, pimple free skin and we might be another step closer with the Pond’s Pimple clear. Anywho, back to my 3-Day challenge, as I mentioned around the time of my monthly cycle; I develop silly breakouts on my cheeks. I would have loved to show you guys some pictures but I would not want to disgust or traumatise you for life and you might be reading during your lunch, I really do not want to make you gag. See, I’m a very nice person. LOL. DAY 1: On this day, the pimple was at its peek. It was huge and with a white pus on it’s head, which was really not looking pretty. I was dying to pop it but I did not. 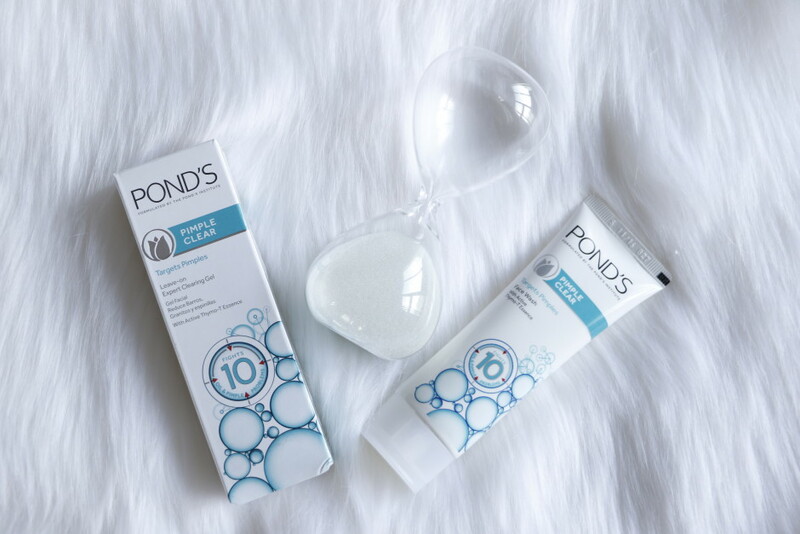 Instead, I wash it very gently with the Pond’s Pimple Clear Face Wash in the morning. The reason for the gentle washing is to avoid popping it by accident or causing irritation, which might worsen the pimple. I did not wash my entire face with the face wash, only the affected area. After washing, I then applied the Pimple Clear Leave-On Expert Clearing Gel, again only on the affected area. 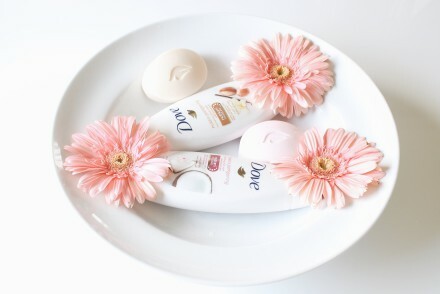 I must mention, the face wash feels very soft; it has a rich creamy lather that is smooth on the skin. The clearing gel, smells and feels really good. It has quick absorption without leaving the skin dry and flaky. I did not wear make-up or try conceal the pimple because I wanted the product to perform without obstruction. Now, I’m pretty sure you can wear make-up while using the Pimple Clear products but for the first experiment, I opted not to. I monitored the pimple throughout the day to see if any changes would occur, really did not physically see any changes. 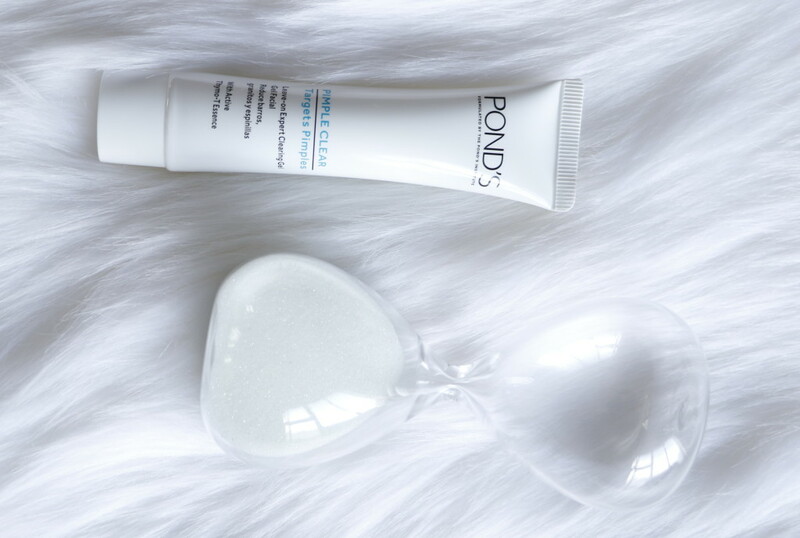 In the evening, I repeated the routine; I washed the area with the pimple with the Pond’s Pimple Clear Face Wash and the applied the Pimple Clear Leave-On Expert Clearing Gel and I went to bed. Next morning…. DAY 2: When I woke up on this day, the pimple definitely looked smaller. The swelling had gone down a lot. It was not as inflamed as it was the day before. The pus also looked slighted reduced, less white and less eeuww. There was absolutely a visible improvement to the pimple. Again, I repeated my routine in the morning. Washed the affected area with the face wash, applied the clearing gel afterwards and went about my day. During the day, it pretty much remained the same; I did not notice any significant changes. Which I was ok with because it did look better than the day before. In the evening when I got back home and check on the pimple, I notice that it looked even better than it did in the morning. It had gotten even smaller and the pus was almost completely dried out, which I was very happy about. Needless to say, I wash my face again before bed, repeating the same steps as the previous evening. DAY 3: I woke up and the first thing I did was check was my face and I kid you not the pimple has completely gone away. I could easily run my hand on my face without feeling the bump. Both the lesion and pus had dried out and there was no longer a pimple to speak of. My face was back to normal again, I was so happy I almost cried… I’m dramatic, I know ha ha! Now, I did use the face wash and the clearing gel again that morning and evening because it is a 3-Day routine. Even though my pimple has had cleared I wanted to make sure I did not make a comeback, lol. 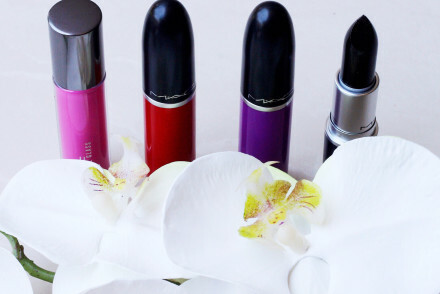 This range is really great, it does exactly what it promises to do. I’m completely a fan and I will be using it at least once a month or whenever I get unwanted breakouts again. Would I recommend to you guys, my friends and my family?! Oh, absolutely… Without doubt!